MAGNUM JUNIOR (FOR POOLS UP TO 60 FEET) Magnum Junior is designed to clean every square inch of your pool utilizing our patented Aqua Smart System™. This cleaner is perfect for swimming facilities housing pools up to 60' in length like those found at many hotels and motels, schools and universities, hospitals and rehabilitation centers, and fitness clubs. 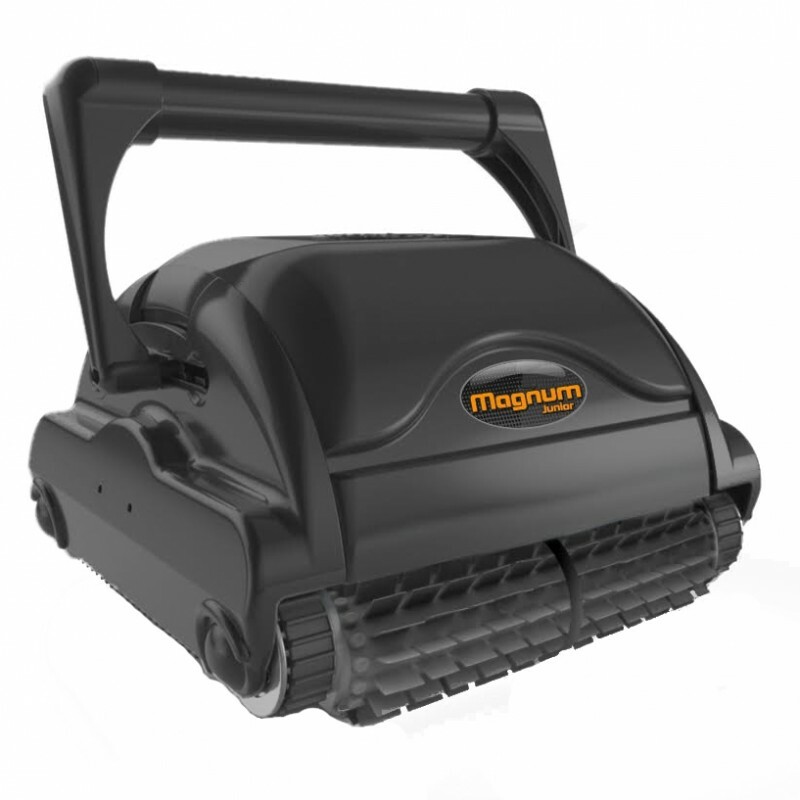 The Magnum Junior is designed to clean every square inch of your pool utilizing the patented Aqua Smart System. This cleaner is perfect for swimming facilities up to 50' in length. The Magnum Junior incorporates 4 optional cleaning programs, includes a wireless 4-directional remote control, and with its smaller body size it is highly maneuverable for "spot cleaning" areas requiring additional attention. Includes a stainless steel Ultrakart for easy transport to and from the pool.